Google isn't due to take the wraps off its flagship Pixel 3 and Pixel 3 XL smartphones until its Made By Google event tomorrow, October 9. Despite this, the unannounced handset is already available to buy in a retail store in Hong Kong. 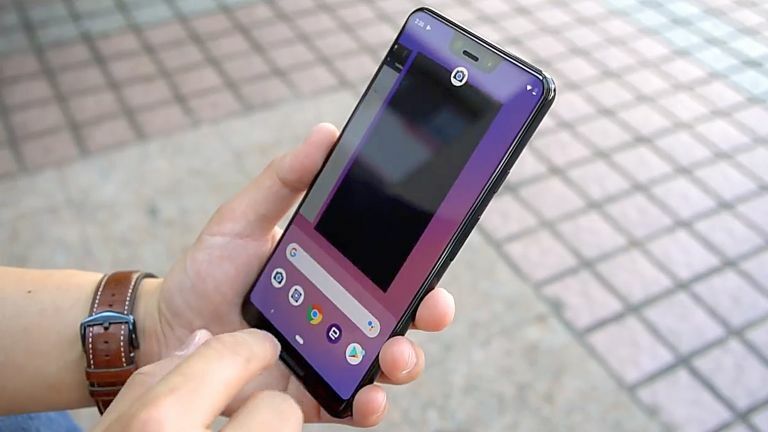 Although the Pixel 3 and Pixel 3 XL have already suffered a vast number of leaks, including the pre-order date, screen sizes, the three colour finishes available at launch, and the return of the squeezable frame, it's safe to say this takes the biscuit. Technology blog Engadget bought the unannounced Pixel 3 XL handset in a Hong Kong store days before the official announcement, which will be held in New York. Editor Richard Lai filmed a detailed rundown of the specs inside the flagship phone, which roughly tallies with what we've seen in the recent leaks. According to the Engadget video, the Google Pixel 3 XL will have 6.3-inch edge-to-edge display with a notch to house the front-facing camera, speaker and various sensors. According to Lai, the screen looks great – even in direct sunlight. Elsewhere, the Pixel 3 XL will purportedly be powered by a top-of-the-line Qualcomm Snapdragon 845 processor, coupled with 4GB of RAM. This isn't exactly record-breaking by any stretch of the imagination (the £519 OnePlus 6 boasts 8GB of RAM) leading to speculation there could be a higher-end Pixel 3 XL with beefier specs. According to the Engadget video, the Pixel 3 XL will have 128GB of inbuilt, non-expandable storage, as well as a 3,732mAh battery. For comparison, that's an upgrade from the 3520 mAh cell included in the Pixel 2 XL last year. Whether the heftier battery results in longer-lasting battery life remains to be seen, since the Pixel 3 XL has a larger display than its predecessor, which will require more power. The new flagship phone will also boast a single 12.2-megapixel rear-facing camera, shunning the recent trend of dual-lens systems. Presumably, Google still thinks its AI-powered Portrait Mode system can stand toe-to-toe with the best dual-camera set-ups, like those found on the iPhone XS and Galaxy Note 9. On the other side of the handset, Google has decided to include a dual-lens set-up, which is capable of taking extra-wide selfies – hopefully killing the selfie stick industry in one fell swoop. Both selfie cameras are 8-megapixel, Engadget notes. If there are any more surprises planned by Google. We'll find out for sure at the Made By Google hardware event on October 9, 2018.